Sangam Sweets has all the ingredients of an iconic sweet shop. Mouth-watering sweets - check, chatpata chaat - check and classic Indian namkeens - check! 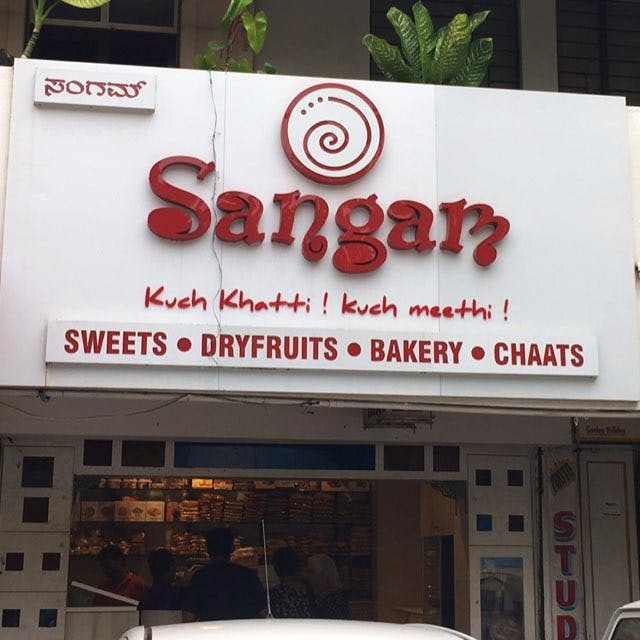 This Koramangala sweet spot should be on your radar when those khatta meetha cravings strike. From aloo tikki chaat to bhel puri, their chaat menu has all the classics. And their prices are incredibly reasonable, starting at INR 30. Follow up the savoury items with some sugary goodness from their impressive mithai spread. You can find all the greats from gulab jamun to kaju katli at this joint.